The PATHS® Programme for Schools (UK Version) empowers all children to develop the fundamental social and emotional learning skills which will enable them to make positive choices throughout life. Watch this short video to find out more about The PATHS® Programme for Schools (UK Version) and discover how implementing The PATHS® Programme for Schools (UK Version) could improve outcomes for the children in your school. 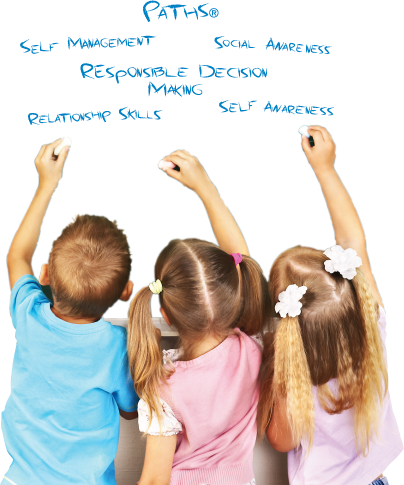 The PATHS® Programme for Schools (UK Version) is for educators and counselors and is designed to facilitate the development of self-control, emotional awareness and interpersonal problem-solving skills. Read More About What is PATHS®? 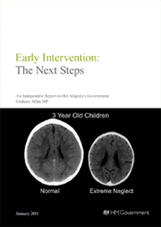 Graham Allen’s detailed report shows how intervention in children’s earliest years can eliminate or reduce costly and damaging social problems. Our staff are highly experienced professionals with many years of experience in the education sector and undergo rigorous training and technical assistance from PATHS® Education Worldwide in order to ensure the training and coaching support we offer maintains the highest fidelity to the programme. In addition to supporting implementation, PATHS® Education UK also holds the license to sell the programme to customers across the UK.